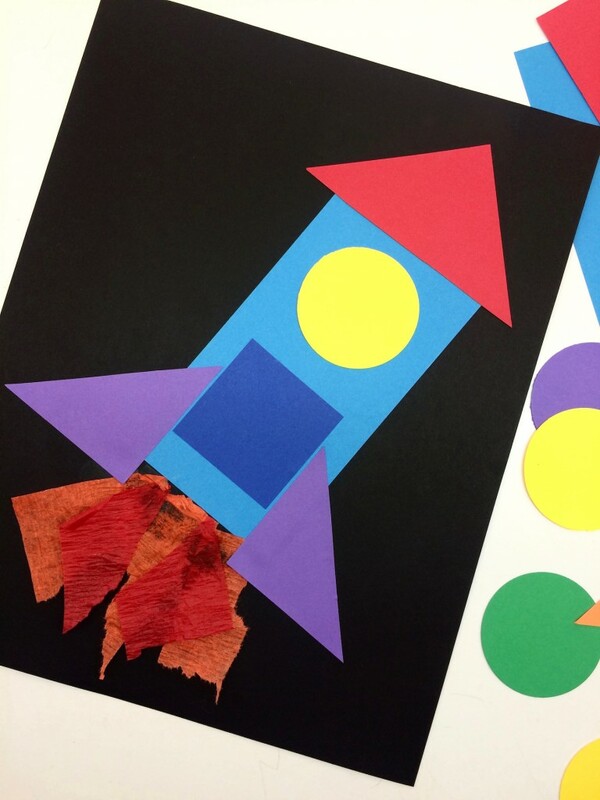 Shapes & Colors Craft Activity: Build Your Own Spaceship! Pass out black paper. 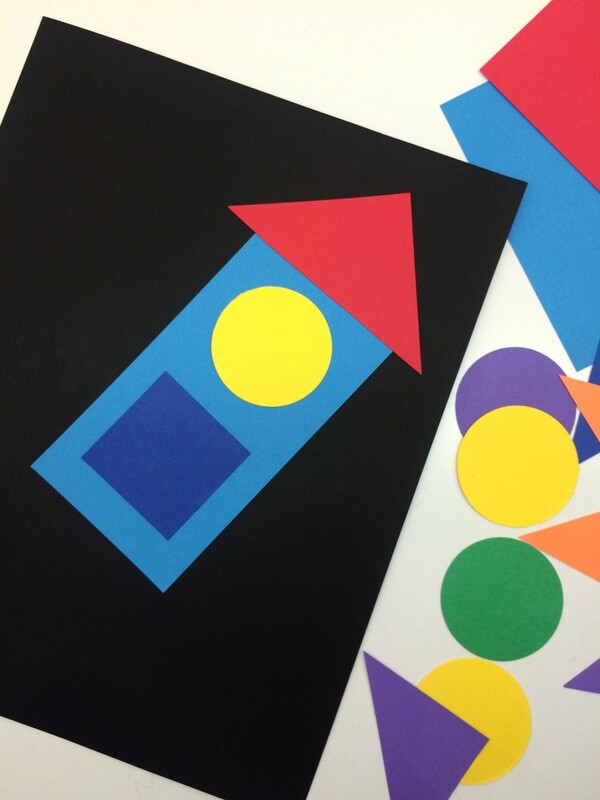 Let each child choose one rectangle for the main cabin of their spaceship. 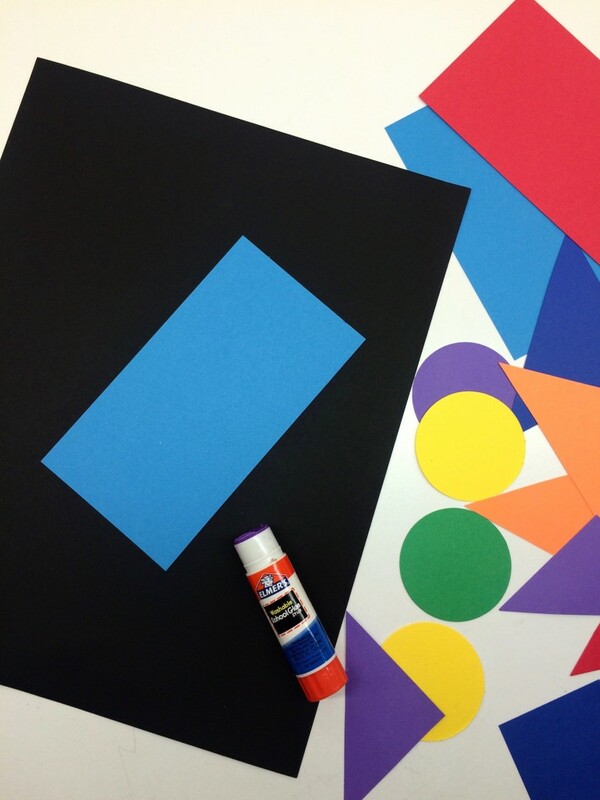 Ask kids to identify the shape & color before gluing. 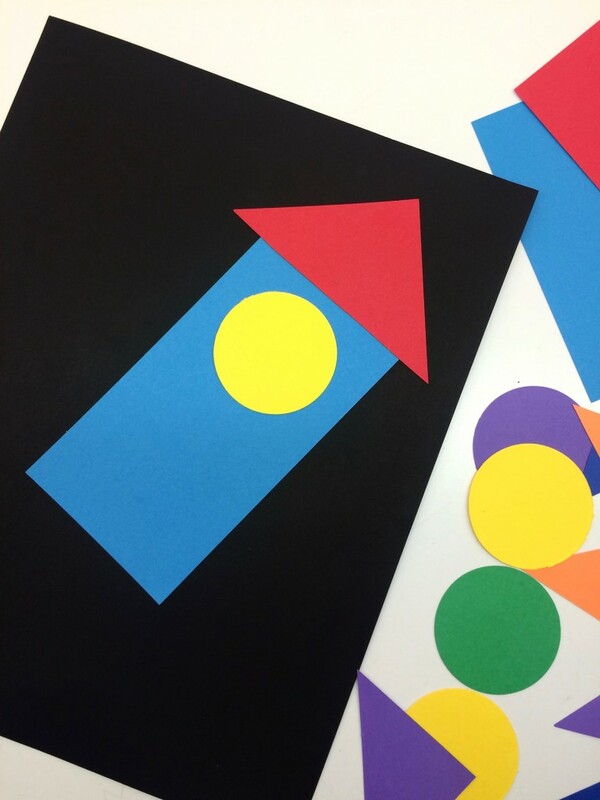 Step 1 (main cabin): In the center of your black paper, glue the main cabin. Now, let everyone choose a roof. What shape is it? (triangle) What color did they choose? Step 2 (roof): Glue the roof on top of the cabin. Let everyone pick a window to put at the top of the cabin beneath the roof. What shape is it? 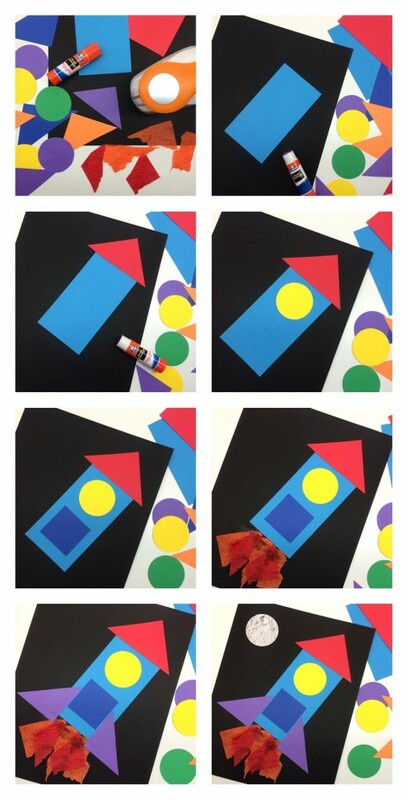 (circle) What color did everyone pick? Step 3 (window): Glue window on spaceship so astronauts can look out the window! Next, everyone need to put a door under the window so that the astronauts can enter the spaceship! What shape is the door? (square) What color did everyone choose? Step 4 (door): Glue square door beneath circle window. Now we need to create fire coming out of the engine at the bottom of our spaceship. 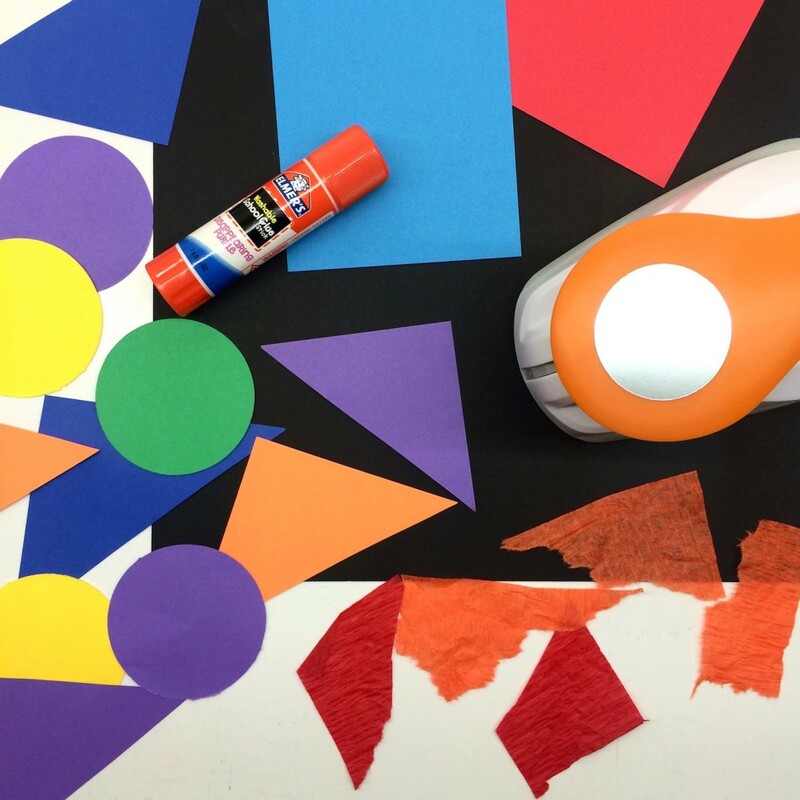 Ask kids to choose some small pieces of orange and red crepe paper. 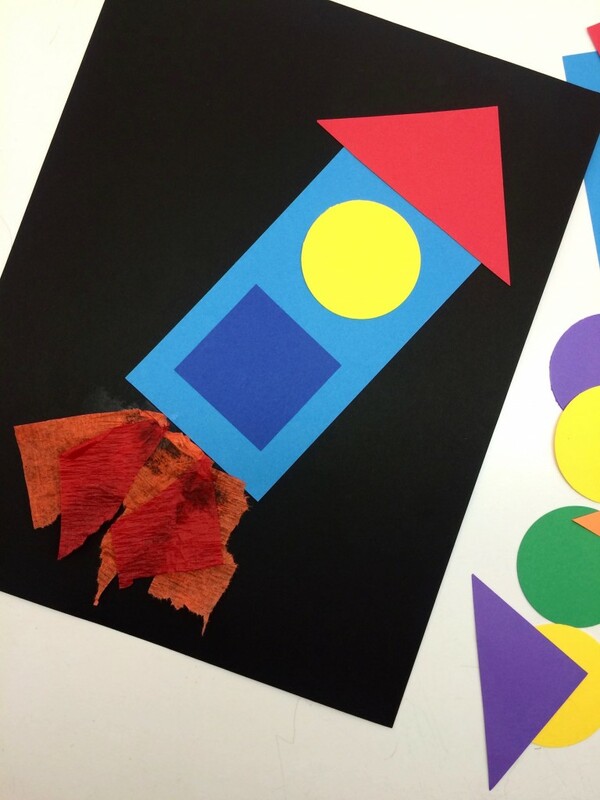 Step 5 (fire): Wrinkle the pieces of crepe paper for texture then glue at bottom of spaceship. 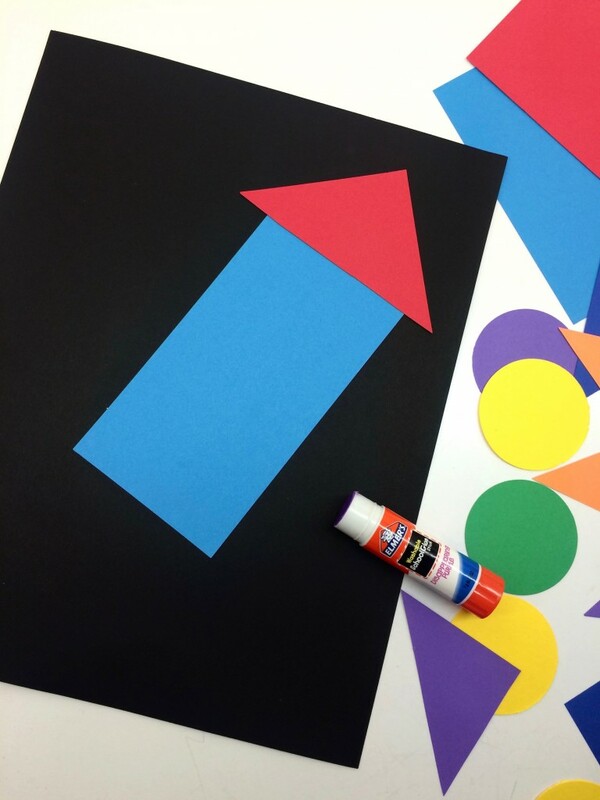 Next, let each child pick two triangles to create the wings for the ship! Step 6 (wings): Glue wings to the bottom on each side of the ship. Cover a bit of the fire with the wings! *Find moon surface pictures to print on Wikipedia! 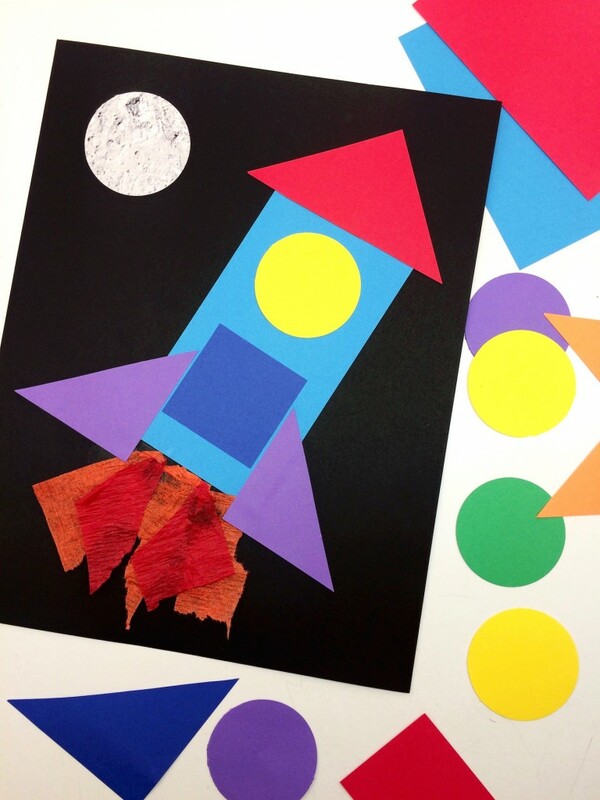 Step 7 (moon): Glue moon on top of the black paper.